The Rebel Legion is a Star Wars based costuming fan club. The Rebel Legion�s members create and wear costumes of the hero characters from the Star Wars saga, which includes but is not limited to the six films, comics, books, games, and television shows based on the Star Wars saga. Much like the Rebellion in the Star Wars movies, an alliance of rebel costumers first appeared in mid-1999; thanks to a handful of brave individuals who responded to the rise of the 501st and wanted to celebrate the heroes of the Star Wars saga. By 2001, Rebel Legion had multiplied in numbers and launched their own website and message boards. Although started in the United States, the Legion is now an international club that encompasses multiple nations worldwide and has become the premier Rebel costuming group in the Star Wars community. Since the Legion�s inception it has been a volunteer club of costume enthusiasts who can enjoy, express, and share their interest of costuming with others in the fan community. The members of the Legion hold no rights to these characters and recognize it is a privilege to wear these costumes. The Legion also acknowledges that while in costume we represent the characters of the Star Wars universe and as such accept the responsibility to behave professionally and civilly while in public. This Charter serves to define what the Legion is, what it shall be, and to set down guidelines for the operations within this costume group. The applicant's first costume for submission must be one that is considered a Formal, professional grade Star Wars costume that qualifies as a Rebel, Hero, Creature, Rebel supporter, or good guy character. Subsequent costumes may be Formal or Informal. Informal Informal is defined as either a costume from one of the six Star Wars films, Expanded Universe, Lucasfilm Licensed Media (TV, books, games, etc.) where enough source/reference material to define a complete costume standard do not exist, or is an original/customized costume with identifiable precedence from the Star Wars universe. The applicant must submit one or more photos of their costume. Applicant�s photo submission must be clear and adequately lit in front of a neutral background which is a different color than most of the costume. An applicant�s member gallery photo can be an action/iconic character's pose. In this case, it is important that the applicant provide additional photos with their application that show all parts of the costume with nothing obscured. At least one photo should not have arms and/or weapon covering the belt/midsection of the costume. Pictures will be considered unacceptable if the applicant is wearing or holding anything not appropriate for the costume, including but not limited to sunglasses, convention badges, drinks, etc. Medical and assistive devices are exempt. All photos submitted for membership must not be altered (except for "red-eye" removal) in subject, background, or lightsaber/blaster effects. If the picture/costume is accepted, the Legion membership team will alter it for member gallery. Be accounted for in the annual census taken each January by the local Commanding Officer or designee. If a member has not been accounted for by April 1st after the census in January they will be moved to an inactive reserve status and their costume pictures moved to the members' inactive reserve picture area. These inactive reserve status and archive members may not vote in any Rebel Legion poll or election until their status has been changed back to that of an active full member. Forum user and access to Legion members� only areas. Additional access to Legion members� only areas and Base Members Only areas. This is a member who no longer maintains one Formal costume approved after January 1, 2008. All their costumes have been designated as Informal or Archived. They must submit a costume and have it judged as Formal in order to return to Active or Reserve status. Forum users have access and use of the Rebel Legion website that are available to everyone regardless of membership status. They may be an individual that is a Star Wars fan and wants to seek advice on how to make a formal costume and gain full membership. Forum Users may attend a RL event if invited by/or approved by their local Commanding Officer or event point person for the purpose of recruitment, costume workshop, formal costume approval, or a purpose that their Commanding Officer or point person deems necessary. The local Commanding Officer or designee must be responsible for this forum user at such events. The Rebel Legion celebrates creating, owning, and wearing the costumes of the Hero, Rebel and Republic forces as featured in the six Star Wars films, the Expanded Universe (EU), un-used conceptual art for the films, comics, books, games, and television shows based on the licensed LFL Star Wars saga material. To capture the magic of these characters, our goal will always be the accurate presentation and portrayal of these costumes. The Rebel Legion has two types of costume distinctions. These are Formal and Informal. Formal: Formal is defined as a costume from one of the six Star Wars films, Expanded Universe, or Lucasfilm Licensed Media (TV, books, games, etc.) as it would appear in those materials. Costumes must be complete, containing all the parts in good working order and appearance. All costume submissions must meet the Costume Requirements (CRL�s) listed Costume Standards Master List on the Rebel Legion website. Applicants submitting costumes for any Expanded Universe costume must submit with their application two or more images from two or more LFL licensed sources for the character/costume that clearly depict the character in detail and from head to toe in order for it to be considered Formal. Additional costume details may come from a detailed textual book description, but must have an accompanying visual reference to be considered for Formal status. For characters or character references from Novels, sourcebooks, or any other LFL licensed printed media, the applicant must provide the name of the source and where to find and verify the quoted text provided as description for the character. For characters from video games, a full 360 head-to-toe turn around may be substituted for these reference images. Note that player generated/edited costumes, for game characters, are not eligible for consideration for Formal designations. Informal: b. Informal is defined as either a costume from one of the six Star Wars films, Expanded Universe, Lucasfilm Licensed Media (TV, books, games, etc.) where enough source/reference material to define a complete costume standard do not exist, or is an original/customized costume with identifiable precedence from the Star Wars universe. Customized costumes must be built of components and details that have known (but not character unique) precedents in the Star Wars Universe and must consistent with the canon saga. Non-character unique items are visible and/or described as being worn by two or more canon characters within the Star Wars Universe that exist in the same general era and similar archetype category (Jedi, Clone Troopers, etc.). A customized costume is not one that was intended to be a costume from the Costume Standards Master List that failed to meet all requirements for Formal approval. Costumes that allow customization through the Costume Standards Master List (Ex. Generic Jedi, X-wing Pilot, Generic Wookiee etc) are considered Formal, not Informal. Costumes approved before September 1, 2013 follow previous definition of Informal. All Legion members must have one Formal costume. All new members' first costume for submission must be formal to obtain full Legion membership and benefits. Subsequent costumes may be Formal or Informal. Costumes accepted to the Legion before January 1, 2008 are required to be resubmitted to be categorized as formal or informal. Costumes which have not been resubmitted are categorized as �Archived� costumes. Members with a mix of formal, informal and archived costumes will no longer be permitted to troop on behalf of Rebel Legion with the "Archived" costume until the upgrade/resubmission requirement has been met on that costume. If the LCJ either denies a costume or classifies it as Informal (and not Formal) they will also provide a list of missing items/explanation why to the applicant, as well as name of the LCJ that made the judgment. If an applicant wishes to appeal a denial or classification of Informal, they should send email to The Legion Membership Officer at enlistment@rebellegion.com. The Legion Membership Officer has final say over approvals and appeals. All appeals must be acknowledged within 10 days and a ruling made within 20 days. If a Base/Outpost Commanding Officer believes an approved costume in their base/outpost does not meet the costume requirements under which it was originally judged, they may request that the LCJ or LMO rejudge the costume. CO/OCO should contact member with costume concerns first. If the member believes that the CO/OCO's opinion of the costume is in error or they do not make the changes, they should be notified when the request is made for official rejudging. Any such request must include the specific concerns with the costume. Reasons that a costume may require rejudging include but are not limited to: disrepair, no longer fits member, member no longer owns costume, fabric improperly represented by submission photos, and/or details relevant to the requirements improperly represented in submission photos. If the LCJ/LMO judges the costume to no longer meet current requirements the member will have 3 months to make appropriate changes or the costume will be removed from formal status, or retired if it does not meet informal requirements. Until the changes are made the costume may not be used for high-profile troops requiring formal costumes. Materials for the costume must look similar to items in the costume's source/reference. Materials and craftsmanship must be of a professional quality. Costume photos may be reclassified from Formal to Informal if they do not meet current requirements for photos and/or the costume itself. The CO/OCO must keep track of current personal contact information for all members in his/her Base/Outpost and perform an annual census in January to account for members in his/her Base/Outpost and update all contact information. They are responsible for making sure that members who have moved into their Base/Outpost get their contact information transferred and updated. This may be done in concert with the Base Membership Officer/Outpost Membership Officer. Contact information should include the following: Member's name, name on the RL site, city/state/province/country/zip, email address, and if the member permits telephone number. All contact information is kept strictly confidential and is not to be given out to anyone without permission of the member. The CO/OCO is required to stay abreast on the activities and interests of his/her members. This includes communicating with his/her members, regularly posting and reading the sub-unit's forum on the RL forum, updating the News and Events section of the RL website, and act as a moderator on the RL Base/ Outpost forum. They may add additional rules and regulations as well as create new offices so long as none of the Legion�s policies are violated. The Base or Outpost Commander appoints and defines the duties of an Executive Officer. In most cases an Executive Officer helps lighten the Commander�s load by taking care of some of their duties and filling in for the CO when they are unavailable. In the event that the CO steps down from a specific Base/Outpost the XO assumes the role of CO. There is only one XO per Base. The XO can also serve as a Regional Captain, if no Regional Captain is available. An XO may be put in charge of a specific aspect of running the Base/Outpost such as coordinating fund raisers, handling the development and sale of merchandise, and developing the website. The Base/Outpost Webmaster is responsible for the design, content, and maintenance of a Base or Outpost's website. He/she must also work with the Legion Webmaster to ensure that content on both sites is kept up to date. If no full member of the Unit is available or skilled enough to create and maintain a website for the Unit, the command may seek a Webmaster from other sources. The Base/Outpost Translator is responsible for helping the unit�s command staff translate materials, announcements, emails and rules into locally spoken languages. They will also serve on the Legion Translator Team to assist the Legion officers. Translators are appointed by the CO/OCO. Translators are not required for a Base/Outpost and a CO/OCO may appoint as many Translators as needed to meet the needs of the geographical region. Additional Translators may be appointed and existing Translators replaced as needed, without having to wait for annual election cycle. The Captain of the Guard serves to maintain order in the Legion. The COG is an expert/adviser on The Rebel Legion Charter and is responsible for the update and amendments to The Charter.The COG makes sure the Charter is followed by all members and that all Legion Officers (Administrative and Command) do not abuse their authority They also serve as an adviser/observer during disciplinary action hearings. The COG assists Base personnel with procedural matters, ensuring the accused has a fair trial, and assessing the prescribed penalty for fairness and consistency with other Bases. The COG also makes sure the hearing is properly documented, and files a copy of the disciplinary action hearing at the Legion level for the purpose of review and any subsequent appeals. He/she monitors the official Legion map for accuracy and completeness, taking into account all Base/Outpost boundaries, and arbitrates all territorial disputes. He/she reviews all applications for new Bases and Outposts ensuring that the requirements are met, and that the territory described is well defined and does not infringe on existing Base/Outpost boundaries.And he/she oversees all Legion level elections (and where asked, Base elections), by enforcing any campaigning policies prior to the elections, setting up and monitoring the poll, and certifying the results.The COG will act as an impartial party/arbitrator in the event of a Vote of No Confidence matters and when conflicts require such a positionThe COG does not hold an office within The Legion Administrative Council or The Rebel Command Council except as an adviser/observer and has no voting authority beyond that of an ordinary member. The Captain of the Guard must hold no other elected or appointed position from any other Legion position, Detachment and/or Unit position(s) for the duration of their term.. The Legion Administrative Council will seek candidate(s)for the office from the active Legion membership, then recommend a candidate to the Rebel Command Council for confirmation. The Captain of the Guard must be confirmed by a simple majority/plurality vote of The Rebel Legion Base and Outpost Commanding Officers. (Please see Article V: Elections and Voting) In the event the COG becomes unavailable for duty, The Legion Executive Officer is designated as acting COG until the completion of an election of a new COG. A determination of inability to serve may be deduced from either voluntary self-removal or a period of 30 days of unresponsiveness in office. The Legion Membership Officer is a non-voting member of the LAC who oversees the Legion Costume Judges (LCJ), handles all appeals for denied costume/membership applications, and advises the Legion Administrative Council on membership issues and changes he/she feels are needed. The LMO, along with the LCJ's and Costume Requirements (CRL) Committee, writes and updates the costumes requirements (CRL�s) for Rebel costumes on the RL website. The LMO is responsible for finding new and existing costume and prop-making tutorials on the web and adding them to our costuming section. The LMO must have assembled more than one complete Formal costume, and must have Photoshop skills. The Legion Membership Officer cannot in addition to holding the LMO office, hold the office of a Legion Costume Judge for a particular costume category. It is recommended that the LMO have prior LCJ or LMO experience, some type of leadership/management experience, and be able to maintain a calm, professional attitude. The LMO will only judge costumes for LCJs in costume categories where there is only one LCJ. New costume submissions for the LMO will be judged by the LCJ for that costume category. If there is a dispute over the judgment, the COG will mediate a decision between the LCJ and LMO. In the event the LMO becomes unavailable for duty, The Legion Commanding Officer will designate an interim LMO until the selection of a new LMO is completed. A determination of inability to serve may be deduced from either voluntary self-removal or a period of 30 days of unresponsiveness in office. The LMO can be removed/replaced as needed by a simple majority/plurality vote of The Legion Administrative Council. The Legion Costume Judge is a member of the Legion known for the skill and knowledge of a particular costume and/or costume category. LCJ�s must have assembled one or more complete Formal costumes in their category. Those costumes should be exceptional and exceed the minimum requirements. A LCJ may be considered an expert for a costume or a particular costume category. The LCJ may be the Detachment CO or Detachment XO from a specific costume Detachment. The LCJ should have pictures, sources, tutorials, and web links associated with their costume category. The LCJ's assist the LMO in writing and updating the costumes requirements (CRL�s), and for helping the LMO with pictures, sources, tutorials, and web links for their costume category. When new memberships and costumes are submitted to the Legion, the accuracy, quality and appropriateness of the costume is judged by a LCJ for approval and classification of Formal/Informal. LCJs can not review their own costume(s) for approval. Another LCJ from that costume's category must handle the approval and then notify the LMO they have approved it. If an LCJ is the only one in his/her category, then the LMO will handle the approval. The LCJ must also be dispassionate, have a lot of patience, and be able to maintain a calm, professional attitude at all times. They must have very good communications skills. They must also be able to take hate-filled messages and flames from denied members and be able to respond professionally and calmly. No sarcasm or counter-flaming. When they deny an application, they need to write it in the least offensive language possible. This is best done by praising what is done well on their costume, and then listing what items prevented the costume from passing the costume requirements (CRL). The LCJ should include suggestions and tips on how to improve the costume. The CO, XO and BMO/OMO (if applicable for the Unit) will be notified of the status of costume applications processed for their Base/Outpost. They should link our Costume Requirements (CRL), forums topics, tutorials, pictures, sources, and even the profiles of those who have completed the costume. They are appointed by the Legion Membership Officer in conjunction with the Legion Administrative Council. The BCO/OCO, BXO/OXO and BMO/OMO (if applicable for the Unit) will be notified of the status of costume applications processed for their Base/Outpost, including any communication of issues or clarification questions with regard to the costume, as well as any corrective measures asked of the applicant. They should link our Costume Standards, forums topics, tutorials, pictures, and sources. In the event a LCJ becomes unavailable for duty, the LMO may appoint another LCJ to cover their responsibilities until the selection of a new LCJ is complete. A determination of inability to serve may be deduced from either voluntary self-removal or a period of 30 days of unresponsiveness in office. LCJ�s can be removed/replaced as needed by the LMO with approval of The Legion Administrative Council. The Legion Webmaster is responsible for the development and maintenance of the club's website, repairing bugs and implementing new features. They are also responsible for helping Base/Outpost Webmasters build their own websites and making sure that content on both the main site and the Base/Outpost websites is kept in sync. The Legion Webmaster may select other members to assist in them in their duties. This office is an �at will� office. The LW reports directly to the Legion Administrative Council. In the event the LW becomes unavailable for duty, The Legion Commanding Officer will designate an interim LW until the selection of a new LW is complete. The LCO will seek volunteers for LW from the active Legion membership, the search will remain open for a minimum of seven (7) days. All candidate(s) will then have a one-week (7-day) Q&A session with the Legion Administrative Council. A determination of inability to serve may be deduced from either voluntary self-removal or a period of 30 days of unresponsiveness in office. The LW can be removed/replaced as needed by a simple majority/plurality vote of The Legion Administrative Council. In the event the MO becomes unavailable for duty, The Legion Commanding Officer will designate an interim MO until the selection of a new MO is completed. A determination of inability to serve may be deduced from either voluntary self-removal or a period of 30 days of unresponsiveness in office. The MO can be removed/replaced as needed by a simple majority/plurality vote of The Legion Administrative Council. In the event the LPRO becomes unavailable for duty, The Legion Commanding Officer will designate an interim LPRO until the selection of a new LPRO is completed. A determination of inability to serve may be deduced from either voluntary self-removal or a period of 30 days of unresponsiveness in office. The LPRO can be removed/replaced as needed by a simple majority/plurality vote of The Legion Administrative Council. The Legion Administrative Council (Legion Council) is a body of seven officers. The Legion Commander is considered a member of the council. Five council members are elected from the main membership. The seventh council member is elected as a Base/Outpost representative by the Base/Outpost commanders. The Legion Executive Officer, Captain of the Guard, and LMO do not hold an office on The Legion Administrative Council. However, the LXO and COG act as observers/advisers with no voting privileges beyond that of ordinary members. The Legion Administrative Council advises and assists the Legion Commanders and Base/Outpost Command staff, as well as vote on an all issues. They must have 2 or more years of active membership, and one full-term experience in at least one elected Legion position or at least 10 consecutive months in the same appointed Legion position in order to run for this office. Positions that qualify are: LCO/LXO, Legion Administrative Council member, COG, BCO/BXO, OCO/OXO, DCO/DXO, LMO, LPRO, MO, WM, LCJ. (Time as an assistant or interim officer does not count.) The LCO may also assign them to other duties based on their areas of expertise. The Legion Administrative Council will be responsible for writing a quarterly summary of the Council's private discussions and decisions and posting those for the membership to read. The Rebel Command Council is made of the five Administrative Council members combined with the Commanding Officer from each Base and Outpost in the Legion, who acts as a representative of his/her members and voices their concerns. The Legion Executive Officer and The Captain of the Guard do not hold an office on The Rebel Command Council. However, the LXO and COG act as observers/advisers with no voting privileges beyond that of ordinary members. The Rebel Command Council is responsible for voting on all policies and issues that may come up. In discussions, the Legion Administrative Council should do it's best to represent the minority voice to help balance the majority that the Base/Outpost Commanders will represent. Applicants must complete a Base/Outpost Application Form for activation. 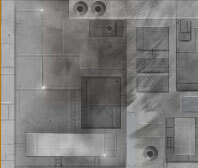 The application form will list their proposed new Base/outpost name, roster of members from the Rebel Legion main membership roster, territorial boundaries, and a brief statement of purpose outlining the reasons for their Base/Outpost to be formed. The application form must also list the Base�s/Outpost's chosen Commanding Officer (CO) and any administrative staff in accordance with Article III: Offices. These offices must be the same as chosen by the membership in the discussion forum on the Rebel Legion boards. (See Article III: Offices)in accordance with (See Article III: Offices). If at the end of 1 year The Legion Council determines that the Base/Outpost is not functioning as a Unit, the Base will be dissolved and members returned to the Base they split from, or absorbed into another Unit that is located near by. Dissolved Outpost�s members will be returned to The Outer Rim, or absorbed into another Unit that is located near by. Member affiliation in a Base or Outpost is normally based upon geographical boundaries and the member's primary residence. However an exception to be Adopted or Retained by a different Unit can be requested by a member under unique/special circumstances only, and then approved by the Commanding Officers of each Unit. If the Commanders of the Units can not come to agreement, the Captain of the Guard. (COG) will provide binding arbitration. Once the Commanding Officers of each Unit approve the exemption, the Legion Membership Officer (LMO) and COG must sign off on the Approval. If there is deadlock on the sign off the Legion Commanding Officer(LCO) will break the deadlock with their decision. If an exemption is denied, the member may not apply for another exemption for a full year from the denial. A copy of denial, or the approval by both Commanders, and sign off by LMO and COG (and LCO if needed), will be filled with LMO and COG. Exemptions can not be requested by a block of members, each individual member must request a exemption separately and cite their own unique/special circumstances. If Unit Affiliation is approved and signed off, the member becomes a full voting member of the Unit. (See Article V: Elections & Voting for geographical restrictions for Commander of a Unit). Adoption: An Active member can request to be placed in a neighboring Unit if they have unique/special circumstances and it is more feasible to regularly attend events with that neighboring Unit. If approval and sign off is received the member may switch affiliations. A member must troop, in a Rebel Legion approved costume that is listed in the member's profile, at least one event per Census year in their adopted Unit's territory. If member does not have one troop in their adopted Unit's territory per Census year, member must return to their geographical Unit. An Inactive member must remain in their geographic Unit and member can not request adoption by a new Unit until they return to Active status by completing one troop, in a Rebel Legion approved costume that listed in the member's profile, in the adopting Unit's territory. Retain Original: If an Active member changes primary residence, or if the Base splits into two or more Bases, the Commander or LMO should move the member's profile to the appropriate geographical Unit. However, if Active member wishes to remain in their original Unit, they must receive approval and sign off. A member must troop in a Rebel Legion approved costume that listed in the member's profile at least one event per Census year in their original Unit's territory. If member does not have one troop in their original Unit's territory per Census year, member must be transferred to their appropriate geographical Unit. An Inactive member that changes primary residence must be transferred to their appropriate geographic Unit (if the new address is known) and member can not request return to original Unit until they return to Active status by completing one troop, in a Rebel Legion approved costume that listed in the member's profile, in the original Unit's territory. To form a Detachment, applicants must first complete a Detachment Application Form. If the proposed detachment receives temporary approval from the Legion Administrative Council they can continue developing all required aspects of a Detachment. Development of a new Detachment must be done in the costume area that the Detachment will serve, must involve all active members wishing to be a part of the new Detachment, and be done by open vote. Before formal approval is granted by Legion Administrative Council and the Detachment made official - a Detachment name, roster of at least 20 active members from the main Rebel Legion membership, Detachment logo, Detachment Charter, and Detachment CO must be decided on by those wishing to be in the new Detachment.Changes can be made to the logo anytime by a majority vote by the Detachment members. Logo changes must be approved, by the MO, and the LAC. To promote the costumes and their CRL�s throughout the Rebel Legion for their costume category. and future Costume Requirements (CRL�s) within that costume category. To provide the Rebel Command Council with qualified candidates for Legion Costume Judge. The DCO and DXO of the Detachment may become LCJ's or may recommend a qualified candidate for that position. All LCJ's must be approved by the Legion Membership Officer and Legion Council. To be a member of a Detachment, one must be an active full member of The Rebel Legion, and the member must meet the formal costume requirements set down by the Rebel Legion and the requirements of the Detachment that they wish to join. All Detachments will have a Detachment Commanding Officer (DCO), and a Detachment Executive Officer (DXO). The Detachment may also deem it necessary to appoint other offices for the functioning and administration of such Detachment so long as the Legion�s policies, rules, and regulations are not violated. (i.e. Base Squadron Leaders, Base Wing Leaders, etc...) Offices held at the Base level will need the Base Commanding Officer's approval. All Detachment officers will not receive any special powers or duties. They will not be given access to the RL Command forums, or form Rebel Legion policy. The DCO and DXO will be only granted moderator's status on the Detachments forum. All Rebel pilots Legion-wide form a Detachment called Rebel Legion Starfighter Command, all rebel pilots in a particular Base form a Squadron and call it Hawkbat Squadron, a specific type of pilot (X-wing, B-wing, Y-wing, etc...) in that Base squadron can form a Wing from the Base Squadron and call it Omega Wing. This terminology should fit in with the type costumes that make up the Detachment and within the Star Wars universe. All Units of the Legion must have a forum on The Rebel Legion Website. When a new Unit is created, the Legion Webmaster will create a forum for the Unit's members to post on. The Unit's Commanding Officer and other staff will be the moderator(s) of that forum. A Unit may appoint additional staff and rules so long as the Legion�s policies, rules, and regulations are not violated. A Unit must adhere to and enforce the Legion's rules, policies, and regulations and uphold the family friendly image of the group. Off-site websites and forums used for base/outpost business are required to be submitted to the Legion Council for inclusion on the Rebel Legion website's Unit Listings page.Base/Outpost business refers to event and membership coordination as well as discussion of base level decisions/activities.The person responsible for the page must also inform the Legion Council if the website is no longer valid. The COG must be confirmed/re-confirmed each time a new Rebel Command Council is seated. The standing COG will remain in office until the conclusion of the COG confirmation process. The LCO and Legion Administrative Council will seek volunteers for COG from the active Legion membership, the search will remain open for a minimum of seven (7) days. Fellow, non Legion Administrative Council members, can not nominate a member for COG. The LCO will oversee the COG confirmation process and any polls and email notices needed. The candidate(s) may not campaign for themselves for the post of COG in any way. They may only respond to questions in the Question and Answer (Q&A) phases. Candidate(s) will have a seven (7) day Q&A session with the Legion Administrative Council. During this time a Confirmation forum will be temporarily set up for the Legion Administrative Council, standing COG, and candidate(s) only. At the end of the Q&A session the Legion Administrative Council will hold a simple majority/plurality vote to determine which candidate will be recommended to the Rebel Command Council. After the Legion Administrative Council�s Q&A session, the recommended candidate will have a seven (7) day Q&A session with the Rebel Command Council. During this time the Confirmation forum will be temporarily set up for the Legion Administrative Council, Rebel Command Council, standing COG, and candidate only. The Captain of the Guard must be confirmed by a majority/plurality vote of The Rebel Legion Base and Outpost Commanding Officers. If the Base/Outpost Commanders fail to confirm the nominee, the process will repeat until one is confirmed. The Base/Outpost Commanding Officers and Detachment Commanding Officers are all voted on by members of their respective units by simple majority/plurality vote. The Base/Outpost Commanding Officer must be a resident of the respective Base/Outpost's geographical boundaries. The Detachment Commanding Officer must be a member of the respective Detachment. All other administrative positions in the club are appointed by either The Legion Administrative Council or The Rebel Command Council. (See Article III: Offices) Bases/Outposts and Detachments may hold elections for offices deemed necessary for the function of the Base/Outpost or Detachment. The Base Command Liaison will be elected to Legion Administrative Council each time a new Rebel Command Council is seated. The standing Base Command Liaison will remain on the Legion Administrative Council until the conclusion of the Base Command Liaison election process. The Legion Commanding Officer will take nominations from the Legion�s Base and Outpost Commanding Officers for a minimum of seven(7) days. Candidate(s) will have a seven (7) day Q&A session with the Legion�s Base and Outpost Commanding Officers. At the end of the Q&A session the Legion Commanding Officer will hold a simple majority/plurality vote to determine the Base Command Liaison. Election nominations begin the second Monday of September (12:01am EST) and concludes after 7 days (Sunday 11:59pm EST). Q&A Begins the Third Monday of September (12:10am EST). The Questions phase ends after 7 days (Sunday 11:59pm EST), while answers may continue for two more days (Closing on Tuesday, 11:59pm EST). Voting begins the 4th Monday of September (12:01am EST). Polls are open for 7 days (Closing the following Sunday at 11:59 pm EST). The new administration takes office the Monday following the close of elections (this may fall on the last Monday of September, or the first Monday of October depending on the Calendar Year). All nominations and voting must be on The Rebel Legion website. Nominations, Question/Answer, and Voting for LCO and Legion Administrative Council Positions will be in the Election Forum. Nominations, Question/Answer, and Voting for Base/Outpost/Detachment COs can be in their respective forum areas. The COG will oversee all election processes. The COG will archive all election results. Every Rebel Legion member with full ACTIVE status may vote. Members that are placed on the RESERVE status may not vote until their status has been reactivated by their Base/Outpost CO. Both ARCHIVE (inactive) members and Forum-users have no voting privileges. Any active member (including officers and Review Committee members) may submit proposals for changes to the Legion Charter. Proposals may be submitted in writing to the Legion Executive Officer at any time of the year, except during annual elections. Proposals must include the reason(s) why it is thought to be needed and/or how it will improve the Legion overall. Each proposal should be as well written and thought out as the member can make it, and not contain conflicting ideals. Members are responsible for seeking assistance from other members, officers, units, or members of the Charter Amendment Review Committee. It is not the Review Committee�s responsibility to create proposals or amendments. Approved proposals will be sent to the Legion membership for discussion, as outlined in #4 below. If the Committee denies a member's amendment, the exact comments on the proposed amendment will be forwarded to the member who submitted it. Denied proposals will be put into the Legion�s Charter Amendment forum, along with a generalized description as to why the amendment was denied, for a period of 14 days. During this time, any active member can sign the petition requesting the proposal be brought before the active membership for discussion and vote. A petition to have an amendment brought back requires 35 active members signing it. If the petition does get the required number of active members in the time allowed, and does not violate the list as noted above, then it would be brought before the general membership for discussion. If the amendment does not get the required number of members in the time allowed, then it goes into the Charter Amendment Review Committee�s Archive. - The LXO, who is chairperson, moderates discussions, oversees all polls, and cast a tiebreaking vote if needed. - One active member in the United States. Volunteers will be sought during regular yearly elections. If there is more than one volunteer, a Q&A session will be held, followed by a simple majority/plurality vote of the active Legion members. - One active member not in the United States. Volunteers will be sought during regular yearly elections. If there is more than one volunteer, a Q&A session will be held, followed by a simple majority/plurality vote of the active Legion members. - One representative from Base/Outpost Command. This member must be a Base/Outpost CO or XO. Volunteers will be sought following yearly elections. If there is more than one volunteer, a Q&A session will be held, followed by a simple majority/plurality vote of all Base/Outpost COs and XOs. - One representative for the Detachment COs and LCJs combined. This member must be a Detachment CO or an LCJ. Volunteers will be sought following yearly elections. If there is more than one volunteer, a Q&A session will be held, followed by a simple majority/plurality vote of all Detachment COs and LCJs. - All members of the Committee must be active members in good standing, with good English skills as that is the language the Charter is written in. - The COG will oversee the election of Committee members. - No members of Legion Administrative Council may be on the Committee. - Members serve a one-year term, and must re-apply for selection every year. - The COG is an advisor to the Committee only and has no vote in Committee polls. The Legion Executive Officer will post all approved proposals in the Legion�s Charter Amendments forum for the active membership to review and discuss for a minimum duration of 2 weeks (14 days). During this discussion period, the text of the amendment may be refined and edited by active Legion members. At the conclusion of the discussion period the Legion Executive Officer will lock the discussion thread. In the Charter Amendment Review Committee's private forum the Committee will review the discussion to make sure all issues were addressed, requested changes were made, any corresponding sections affected are added to the amendment, and �clean-up� is done. They will also write an unbiased summary of how the amendment will affect the members (ex. pro and con list of the proposed change). This final amendment wording will be posted in a new discussion thread for the active membership to review and request changes to for one week (7 days). a. Compensation: Members may be compensated by the event host/organizer for out-of-pocket expenses incurred from participation in Rebel Legion events, but this may not exceed their expenditure (including but not limited to water, gas reimbursement, snacks/meals, park passes/entry to events). They may also receive non monetary donations (including but not limited to water, snacks/meals, park passes/entry to events), but these items are for personal use & not to be sold for profit. b. Costume Contests: Entry of Rebel Legion costumes into contests is permitted. Any awards/prizes may be retained, as they are not guaranteed for participation. While acting as a member of the Rebel Legion, members must not deliberately/maliciously cause ill will within our club or in the Star Wars community that may endanger the Rebel Legion's reputation and working relationship with other Lucasfilm approved entities. While separate and individual websites are allowed, they are not a venue for members to violate the Legion�s Charter or policies. This Charter in full or part, and all Legion policies must still be upheld in all separate and individual unit websites. Any members who violate the Legion Charter, Legion policies, or unit specific policies on individual websites will be subject to disciplinary action. Any member in good standing may bring a charge against another member from their Base/Outpost. They have 60 days from the event (or discovery of a situation) to file a charge with their Base/Outpost Commander and the Captain of the Guard (COG) jointly. The COG will contact the plaintiff and ensure that they truly want to bring charges. * If a hearing is needed, the COG will set-up a litigation thread in the Base/Outpost Litigation Forum for a tribunal consisting of the Base/Outpost Commander, Base/Outpost Executive Officer, and Legion Executive Officer. That thread will be to present evidence, statements, discuss judgment, and vote on restitution, reparations, or punishment. The COG will act as counsel on all issues relating to the club Charter, ensure fairness on behalf of the plaintiff and defendant, and oversee documentation of the proceedings. During the hearing, the COG will work with both sides of the conflict to present witnesses statements and document evidence (forum posts, private messages, instant messaging and e-mails) relevant to the hearing to the Base/Outpost Command for review. This process must run for at least five days after the hearing is called, after which the Base/Outpost Commander has the right to call for a vote at his or her discretion. A unanimous vote from the Base/Outpost Commander, Base/Outpost Executive Officer, and the Legion Executive Officer will determine responsibility and any restitution, reparations, or punishment required. At this level the harshest punishment that may be given is a one-year probation. In cases of a major offense, a move for expulsion must have the approval of Legion Administrative Council. At the conclusion of the hearing the COG will document the terms of restitution, reparations, or punishment and move the entire thread to the Legion Litigation Archive and close the forum. The COG is responsible for reporting the outcome of the hearing to the Base/Outpost's officers who will be affected by the ruling (Regional Captains, Event Coordinators, Base/Outpost Detachment Unit Command Staff, etc.). In the event the conflict is between members of two different Bases/Outposts, then the Base/Outpost Commander of the plaintiff is in charge and holds a combined hearing with a tribunal consisting of the plaintiff's Base/Outpost CO, the defendant's Base/Outpost CO, and the Legion Executive Officer. A unanimous vote will determine responsibility and any restitution, reparations, or punishment required. If one of the parties involved in a dispute is a: Base/Outpost CO, Base/Outpost XO, Detachment CO, Detachment XO, Legion Commander (LCO), Legion Executive Officer (LXO), The Captain of the Guard (COG), Legion Membership Officer (LMO), Legion Costume Judge (LCJ), Legion Webmaster (LW), Legion Merchandise Officer (MO), or Legion Public Relations Officer (LPRO) the hearing must be held at The Rebel Command Council level. During the dispute, the officer charged will be suspended from their forum permissions until the dispute is resolved. Probation: This member's activities are heavily monitored by their Base Commanding Officer and/or the Captain of the Guard for the duration of their punishment. This member is not permitted to participate in Legion or Base elections or polls, and must seek permission from the Base CO and/or Event Coordinator to participate in events. If this member is found guilty of another violation of the Rebel Legion Charter during their probation period, their account will be suspended for a length of time determined by the overseeing tribunal with the oversight of the Captain of the Guard. This member may not purchase Rebel Legion Merchandise. If the member is an Officer or volunteers on a Rebel Legion Committee, the determination will be made during sentencing if they should be removed from these posts, or permitted to handle merchandise runs in progress. �Passing off� or claiming another members work as your own. This includes, but is not limited to: replicating patterns without permission and recasting props without permission. Any member filling a complaint must be prepared to show proof of their original work. This offense will result in expulsion from the club and a suspension of their user account. They may appeal to the Legion Council for reinstatement after 1 year has passed since their expulsion. Any unit within The Rebel Legion, from Detachment, Base/Outpost to The Administrative Council itself, may redress problems in leadership by calling for a vote of no confidence (VONC). The individuals proposing the call for the vote are asserting that the leader is no longer fit to hold their position for the remainder of the term. Reasons may include but are not limited to a leader failing to carry out the duties/obligations of their position, engaging in behavior unbecoming of an officer, or making choices that other members feel are detrimental to the welfare of the Legion. As with any disciplinary action, members are reminded that a call for VONC may not solve their own personal problems with another member. A Detachment Leader requires three members of the Detachment to call for a vote of no confidence. The DXO will temporarily take over as leader of the unit during the hearing. An Outpost Leader requires only one member from the Outpost to call for vote of no confidence. The OXO will temporarily take over as leader of the unit during the hearing. A Base Commander requires three members from the Base to call for vote of no confidence. The BXO will temporarily take over as leader of the unit during the hearing. The Captain of the Guard (COG) requires five members (all of whom must be from different Bases/Outposts) or three members of LAC to call for vote of no confidence. The Legion Executive Officer will temporarily take over as COG during the hearing. The Legion Commander (LCO) requires five members (all of whom must be from different Bases/Outposts) or three other members of LAC to call for vote of no confidence. The LXO will temporarily oversee the Legion during the hearing. A Legion Administrative Council (LAC) member requires five members (all of whom must be from different Bases/Outposts) or three other members of LAC to call for vote of no confidence. The LXO will temporarily fill their Council seat during the hearing. All members making the call for a vote must give their reason and any witness statements and/or documentary evidence (forum posts, private messages, instant messaging and e-mails) relevant to the reason for the call for a vote to the COG, the unit Commanding officer, and unit Executive officer prior to the opening of the unit�s discussion thread. The COG will post these for the unit to review when he/she announces the call. Officers facing a VONC must be given an individual response thread to present their side of the issue and to answer direct questions. An officer facing a VONC can not �counter charge� individual members for issues raised in the call for a vote. On the start of regular yearly terms (October 1) all VONC threads will be archived as litigation. All officers (new and old) will start with a clean slate. Calls for a vote of no confidence for a Base, Outpost, or Detachment Commanding Officer must be submitted to the COG, and unit Executive officer jointly, so more than one officer knows about it and no one officer can disregard it. The COG, unit CO or unit XO has 5 days to post in a locked thread in the unit�s private area that a call for a vote of no confidence was received and must update the thread. In order for the VONC to proceed, the COG, unit CO, and XO would have to receive enough calls for the required number to be met to proceed within 21 days of the original call for a VONC. While the identity of the parties calling for a VONC must be kept private at this time, the reason for the call should be included in the thread. When the required number of parties to hold a VONC is reached, the vote of no confidence process must begin. If the timing of this coincides with regular yearly elections, the COG will post all reasons and supporting evidence for the unit to review, but a vote of no confidence will not be taken. Members will decide for themselves whether to keep the officer or not through the normal election Q&A and voting process. If the required number of calls is not reached during the allotted time frame, the COG will archive the thread in the Rebel Command Council. If the required number of members to hold a VONC is received, the COG will inform the officer of the official call, ensure their privileges are removed, as well as access to all private and �behind-the-scenes� areas of the Legion website, and relieve them of all duties for the duration of the proceedings. The unit Executive Officer must be notified they need to cover the leadership of the unit during the hearing. At that time a discussion thread will be opened in the unit�s private forum for a minimum of one week to discuss the charges. The opening post will contain the reason(s) for the call, all members requesting a call, and their witness statements and/or documentary evidence (forum posts, private messages, instant messaging and e-mails). Discussion will be limited to active members of the unit and the COG. A separate thread will be opened for the officer in question to respond and answer direct questions. After this, a poll will be opened in the unit�s forum for one week and a vote taken of the active members of that unit. A VONC is passed by simple majority/plurality vote of the active membership of that unit, with no minimums or percents required. In the case of a tie, the COG will conduct a second poll for one week. If the second vote results in a tie, then, based on the original call, no further votes will be conducted. If a vote of no confidence does pass for a Base/Outpost/Detachment Commander, then he/she is removed from office immediately at the end of voting, and the XO may assume command. If the VONC includes the XO, then the COG spends one week collecting nominations for a replacement. At the end of the week, the COG opens a week long poll within the unit to determine which nominee will replace the leader. If there is a tie, a second poll is opened for another week. In the case of no nominees, or a second tie, Legion Council will appoint a new interim leader for the unit until regular elections are held. No Base/Outpost/Detachment Commanders may be called to a vote of no confidence more than twice in a single one-year term. A vote of no confidence can only come from the members of the unit whose leadership is in question. Appointed officers serve at the discretion of the elected Commander who appointed them, and are subject to being relieved of duty once the Commander who appointed them is no longer in office. The incoming Commander has the right to appoint all new officers for the running of the Base/Outpost/Detachment. Calls for a vote of no confidence for a the Legion Commanding Officer or a member of the Legion Administrative Council must be submitted to the COG and any one member of the Legion Administrative Council jointly so more than one officer knows about it and no one officer can disregard it. The COG or the Legion Executive Officer has 5 days to post in a locked thread in Rebel Briefing that a call for a vote of no confidence was received and must update the thread with any farther calls. In order for the VONC to proceed, the COG and 2 LAC members would have to receive enough calls to reach the required 5 separate calls (or 3 LAC members in the case of LAC/LCO/LXO/COG) within 21 days of the original call for a VONC. The identity of the party or parties calling for the VONC must be kept private at this time but the reason for the call should be included in the thread. When the required number of calls is reached, the vote of no confidence process must begin. If the timing of this coincides with regular yearly elections, the COG will post all reasons and supporting evidence for the Legion to review, but a vote of no confidence will not be taken. Members will decide for themselves whether to keep the officer or not through the normal election Q&A and voting process. If the required number of calls is not reached during the allotted time frame, the COG will archive the thread in the Rebel Command Council. If the required number of calls is received during the allotted time period, the COG will inform the officer of the official call, remove their titles, privileges, access to all private and �behind-the-scene� areas of the Legion website, and relieve them of all duties for the duration of the proceedings. If the Legion Commanding Officer is relieved, then the LXO will temporarily take over as leader of The Rebel Legion. If a member of The Legion Administrative Council is relieved, then the LXO will temporarily take their office until the completion of the voting. If a call for a vote of no confidence is made for both the LCO and LXO the COG will temporarily take over as leader of The Rebel Legion and continue with the VONC procedures. The COG will open a forum in an open Hearing Room for one week for the Legion to discuss the charges. The opening post will contain the reason(s) for the call, all members requesting a call, and their witnesses� statements and/or documentary evidence (forum posts, private messages, instant messaging and e-mails). An individual response thread will be posted for the officer to post their side of the issue and answer direct questions. After this a poll is opened for one week and a vote taken of the active Legion membership. A VONC is passed by simple majority/plurality vote of the active Legion membership, with no minimums or percents required. In the case of a tie, the COG will conduct a second poll for one week. If the second vote results in a tie, then, based on the original call, no further votes will be conducted. If a vote of no confidence does pass for the Legion Commanding Officer, then he or she is removed from office immediately at the end of the voting, and the LXO becomes the new LCO. If the VONC does pass and both the LCO and LXO are removed the COG will begin the normal nomination/election process to replace the LCO. If a vote of no confidence does pass for a member of The Legion Administrative Council, then he or she is removed from office immediately at the end of the voting, and the LXO will temporarily take their office until the completion of an election of a replacement. Calls for a vote of no confidence for the Captain of the Guard (COG) must be submitted to any two members of the Legion Administrative Council so more than one officer knows about it and no one officer can disregard it. The Legion Commanding Officer or the Legion Executive Officer has 5 days to post in a locked thread in Rebel Briefing that a call for a vote of no confidence was received and must update the thread with any further calls. In order for the VONC to proceed, the LAC members would have to receive enough calls to reach the required 5 separate calls (or 3 LAC members) within 21 days of the original call for a VONC. The sender�s identity must be kept private at this time, but the reason for the call should be included in the thread. When the required number of calls is reached, the vote of no confidence process must begin. If the timing of this coincides with regular yearly selection/confirmation time, then the LCO will post all reasons and supporting evidence for the Legion Administrative Council to review, but a vote of no confidence will not be taken. The Legion Administrative Council will decide for themselves whether to keep the officer or not through the normal selection process. If the required number of calls is not reached during the allotted time frame, the COG will archive the thread in the Rebel Command Council. If the required number of calls is received during the allotted time period, the LCO or LXO will inform the COG of the official call, remove his/her title, privileges, access to all private and �behind-the-scene�s areas of the Legion website, and relieve him/her of all duties for the duration of the proceedings, and notify the Legion Executive Officer they need to cover the duties of the COG during the hearing. A discussion thread is then opened in in an open Hearing Room for a minimum of one week to discuss the charges. The opening post will contain the reason(s) for the call, all members requesting a call, and their witness statements and/or documentary evidence (forum posts, private messages, instant messaging and e-mails). Discussion will be limited to active members of the Legion. An individual response thread will be posted for the officer to post their side of the issue and answer direct questions. After this, a poll will be opened for one week and a vote taken of the active Legion members. A VONC is passed by simple majority/plurality vote of the active Legion members, with no minimums or percents required. In the case of a tie, the LCO will conduct a second poll for one week. If the second vote results in a tie, then, based on the original call, no further votes will be conducted. If a vote of no confidence does pass for the COG, then he or she is removed from office immediately at the end of the voting, The Legion Executive Officer will continue to act as interim COG, and begin the confirmation process for a new COG. Once a new COG is confirmed, that person will finish the original term of the previous COG and will require reconfirmation once the new Rebel Command Council is seated, following process outlined in Article V: Elections & Voting. Members are reminded that a vote of no confidence will not solve their own personal problems with an officer, and should not be taken lightly. High profile events: This is an official Rebel Legion event that is usually organized/sponsored for the promotion of a Lucasfilm Ltd, or LFL approved partner. A formal costume from the movies is the usual requirement unless otherwise requested. Medium profile events: This is an official Rebel Legion event that does not involve Lucasfilm Ltd. and is for RL promotion or charity. A formal costume is the requirement unless otherwise requested/permitted. Low profile events: This is an official Rebel Legion event for RL promotion with the purpose of fun and entertainment. The use of formal or informal costumes are permitted. For Medium Profile events, members may lend Formal approved costumes to full members or non-members, with the approval of the Rebel Legion Event Officer and the hosting Base/Outpost CO. Lending is reserved only for events where additional costumers are needed for the benefit of a charity and after every effort has been made to get enough full members to participate. Full members have preference over non-members in a borrowed costume. Members or non-members in borrowed costumes must still meet all Formal requirements for that specific costume. The full member takes responsibility for the behavior and actions of non-members wearing their borrowed costumes during the event. Prior to the event, all members and any allowed non-members accompanying them will be made aware of Rebel Legion rules/policies and the consequences of breaking them. For Low Profile events, members may lend Formal or Informal approved costumes to full members or non-members, with the approval of the Rebel Legion Event Officer and the hosting Base/Outpost CO. Lending is reserved only for events where additional costumers are needed for the benefit of a charity and after every effort has been made to get enough full members to participate. Full members have preference over non-members in a borrowed costume. Members or non-members in borrowed costumes must still meet all minimal requirements for that specific costume. The full member takes responsibility for the behavior and actions of non-members wearing their borrowed costumes during the event. Prior to the event, all members and any allowed non-members accompanying them will be made aware of Rebel Legion rules/policies and the consequences of breaking them. All costume submissions and approvals for high profile events need to be reviewed and finished one week prior to the event by the board. For medium profile and lower profile events, members may have an on-site temporary approval by their CO, BMO/OMO, or the Rebel Legion Event Officer for the specific event, after verification that costume requirement listing has been fulfilled. The costumer must then seek the costume's official approval with submission of pictures through the Rebel Legion website, following the set guidelines for photo requirements as noted in Article I: Membership Requirements for photo submissions. A non-official Rebel Legion event is defined as a gathering of two or more members for comradery and fun. Examples include but are not limited to public/private parties, conventions, parades, or wherever the Rebel Legion is not official representing the club. Costumes may be formal and/or informal. The default for any public appearance of The Rebel Legion is the use of both formal and informal costumes; however the club's code of conduct still applies. The final decision for costumed events is left to The Legion Council, Event Coordinator, or RL Event Officer. Event Officer: The Rebel Legion member who is in charge of the Legion's involvement at a given event. The Event Officer may be the CO, XO, Regional Captain, or any member of the base that the CO has approved for a specific event. On Duty: This is when a member is in costume and is "working the floor" during the operating hours of the event or convention. All costume pieces should stay on and the representation of the character should be kept intact, unless there is a health or safety issue that would require immediate removal of a helmet or mask. Members who are working behind an information table may remove masks, helmets, or other communication barriers in order to answer patrons questions. Masks or helmets may also be removed for a group photo, if directed to so by the Event Officer. Off Duty: This is when a member has left the "working floor" for neutral areas at the event so that they may rest, repair their costume, converse, etc. Off duty would also include shopping the vendor areas or attending a presentation without having to remove the entire costume. Handlers: These are people out of costume (but preferably wearing a Legion shirt, hat, or badge) who help members at all times during an event. They help members overcome the visual and movement limitations imposed by their costumes. They act as lifeguards against the elements while members are "on duty." They also help communicate instructions from the event's coordinator and the RL event officer. Items to be given away for promotional purposes must still follow all merchandise rules listed here, and the Requirements for Promotional and Public Relations Materials listed in section B, below. However the designation of �Promotional/Giveaway Item� must be made know during the sale, so members know they are free to give those items to the public. Special projects may include raising funds on a voluntary basis for Legion, Outpost, Base, or Detachment expenses including but not limited to: website hosting expenses, Honorary Membership expenses, Rebel Membership award expenses, merchandise gifts for LFL, and promotional items. Fundraising monies for Legion, Outpost, Base, or Detachment expenses can only be done by internal revenue raising within the Legion's membership. Donations from the general public are not to go into the running, promoting, or support of the Legion, or any unit within the Legion. Fundraising may include, but is not limited to, special merchandise runs. Unit COs desiring to raise funds for a special project must have the approval of the Legion Administrative Council and the Merchandising Officer before starting any sales of merchandise. They must provide to the Legion Administrative Council and the Merchandising Officer what they wish to sell, how much the markup will be, how the proceeds will be used, and how/when the sale will end. Then provide full accounting of what was collected and spent at the conclusion of the project. All funds raised must be spent on the project, refunded to members who purchased merchandise during the sale, or donated to a Charity of the Council�s choosing, before the end of the calendar year. The Legion Administrative Council and the Merchandising Officer reserve the right to request any and all financial records pertaining to the project and to discontinue the project at any time. Units are limited to two (2) special projects per calendar year. Any Legion, Outpost, Base, or Detachment assets, which were paid for using Legion, Outpost, Base, or Detachment funds, are the property of said Legion, Outpost, Base, or Detachment unit. A member who holds any assets from the unit without reason will face disciplinary action. Officers who abuse this will face disciplinary action. Club merchandise must not misrepresent or misidentify its user/wearer in any role other than as a member or supporter of the Rebel Legion fan club. No shirt will bear the label "Security" or "Staff" unless created with the full permission of an event organizer and labeled specifically for that event only. Club merchandise and promotional materials produced for Lucasfilm Limited sponsored events must have the approval of Lucasfilm as well as have the copyright symbol, the title "LFL" or "Lucasfilm Limited", and the current year.